Graphics card grill provides two fan fasteners, supporting 8cm, 9cm fan mounting position, simple installation, convenient and practical. (The thickness of installed fans is 25 mm, other thickness fans are not applicable). Black ABS plastic fan finger guard to suit 92mm x 92mm cooling fan. ABS plastic construction gives durability and flexibility. 92mm Fan Grill Finger protection. Protect the blades of your fan. BUY 1, GET 1 FREE 90mm 92mm fan cover Finger Guard, Black ABS for Computer etc. The guard is made of ABS plastic and is black in colour. The fixing centres of the screw holes are 82mm apart. Another great deal! FAN FILTER. Black fan filter. Fan Size 92mm. This beautifully designed fan grill improves every fan's appearance. Weld Joints: To withstand 88lbs pull force. Ring dia 1.6mm. &amp;lt;/font&amp;gt;. 12 MONTHS WARRANTY. Fan: 92mm x 92mm x 25mm. In this “Buy it now” you will get 1pc of this Fan. Bearing: Sleeve. Leads: Wire Leads AWG#24 Red Black 300mm long. Noise: 34dB. Speed: 2500rpm. Adda type GRM92-30. Guard and retainer are moulded inUL 94V-0. Assemblies have been specially designed for minimal air resistance. Low noise and ease of filter changing. Any item that is not photographed will not be included. We hope you will be very happy with your item. Professional Audio / Visual. You have changed your Mind Item has arrived faulty If there is an issue with your item and you believe it to be faulty we will help you as quickly as possible. Manufacturer's part FPF08KR115BR. In this “Buy it now” you will get 1pc of Fan & Filter 115 VAC IP54 Reversed FPF08KR115BR. Fan & Filter 115 VAC 105mm x 105mm IP54 Reversed (4"). R:= Reversed blows the air from the rear and through the filter to the outside. 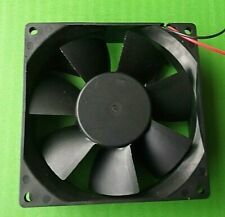 To suit 92mm x 92mm cooling fan. Black Plastic Fan Finger Guards. GRM92-30 Akasa 90mm Fan Filter. During that process you will be issued with an RMA number. Product Features. It was designed to fit on the outside of the case and needs no screws, tools or special skills. The design allows everybody to use it no matter what their skill level. No need to open the case or undo anything at all. 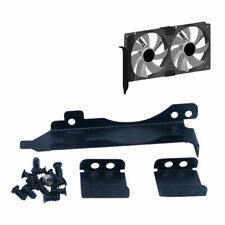 For 92x92mm PC fan. 10 pieces set of protective grille filters For fan 92x92mm. Filter Density: 45ppi. Thickness: 2.5mm. Protective grille filters. 1 x 92mm Fan Filter. - Easy to clean, good ventilation effect,easy installation. - Simple and elegant appearance. Suitable for 92mm fans. Dust not only makes working inside your PC much less pleasurable, it affects reliability because a thick layer of dust can exhibit a certain amount of electrical capacitance and conductivity which is clearly not what you want inside the workings of your machine! The product works well i have used it for maybe 48 hours maybe even less then that, its in good condition it comes in its original packaging. Lüftergröße 92mm. Fan grille 92 mm case fans, hole distance 83 mm, cranked. Diagonal hole distance 115 mm. Hole spacing 83mm. Here, people work, mistakes happen too us! We'd like to settle any problem in a friendly manner. We want to make sure you are happy with our item. The Filter Fan Plus series has been designed to optimise climate efficiency within enclosures and cabinets containing electronic/electrical components. The electronic components generate heat and these units disperse that heat with cooler, filtered air from outside the enclosure. 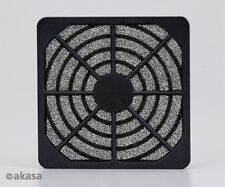 Luxury PC Computer 92mm Axial Fan Dust Filter Guard Protector Case Cover Was£2.01 x 2 Price:£1.01 x 2. 2 x 92mm Fan Filter. - Easy to clean, good ventilation effect,easy installation. - Simple and elegant appearance. Aluminum Filter - Super durable and easy cleaning. - Wave-folded Design - Provides larger surface area for dust blocking. Due to the light and screen setting difference, the item's color may be slightly different from the pictures. Material: Aluminium Alloy. 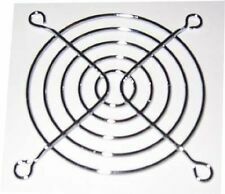 - Aluminum Filter - Super durable and easy cleaning. - Wave-folded Design - Provides larger surface area for dust blocking. - Color: Silver. 92mm Dustproof Case Fan Dust Filter Guard Grill Protector Cover PC Computer Was£2.21 x 2 Price:£1.62 x 2. - Aluminum Filter - Super durable and easy cleaning. - Wave-folded Design - Provides larger surface area for dust blocking. Protects your internal components from dust and debris. Type: Fan Filter. 1 Piece 9cm Fan Filter. - Easy to clean, good ventilation effect,easy installation. Due to the light and screen setting difference, the item's color may be slightly different from the pictures. Aluminum Filter - Super durable and easy cleaning. - Wave-folded Design - Provides larger surface area for dust blocking. - Color: Silver. 1 x 92mm Fan Filter. - Easy to clean, good ventilation effect,easy installation. Just buy it! Don't just think about it! - Simple and elegant appearance. 1 x 92mm Fan Filter. - Easy to clean, good ventilation effect,easy installation. Aluminum Filter - Super durable and easy cleaning. I am sure it the right thing you need now. - Wave-folded Design - Provides larger surface area for dust blocking. 1 Piece 9cm Fan Filter. - Easy to clean, good ventilation effect,easy installation. - Protects your internal components from dust and debris. - Durable and practical. - Simple and elegant appearance. 92mm Dustproof Case Fan Dust Filter Guard Grill Protector Cover for PC 9CM Was£2.47 x 2 Price:£1.57 x 2. - Material: Aluminium Alloy. 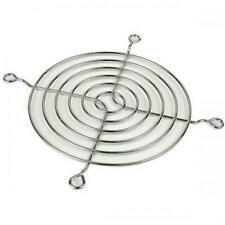 - Aluminum Filter - Super durable and easy cleaning. - Wave-folded Design - Provides larger surface area for dust blocking. 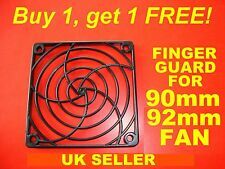 This item: Axial Fan Dust cooler Filter Guard Grill Protector Cover for Boiler 92mmWas£1.30 x 6 Price:£0.96 x 6. 1 x 92mm Fan Filter. Axial Fan Dust cooler Filter Guard G. 6x Universal 92mm Axial Exhaust Boil. A 3-year warranty is promised, your satisfying is our ultimate pursue. - Aluminum Filter - Super durable and easy cleaning. - Wave-folded Design - Provides larger surface area for dust blocking. A 3-year warranty is promised, your satisfying is our ultimate pursue. - Protects your internal components from dust and debris. 1 Piece 9cm Fan Filter. - Easy to clean, good ventilation effect,easy installation. A 3-year warranty is promised, your satisfying is our ultimate pursue. - Aluminum Filter - Super durable and easy cleaning. - Wave-folded Design - Provides larger surface area for dust blocking. Price for all:£4.35 You save£0.59. 1 x 92mm Fan Filter. - Easy to clean, good ventilation effect,easy installation. - Simple and elegant appearance. I am sure it the right thing you need now. 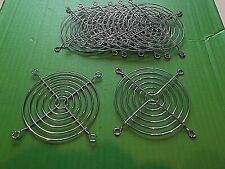 92mm Axial Fan Radiating Dust Cooler Filter Grill Guard Cover for Exhaust Was£2.01 x 2 Price:£1.01 x 2. 2 x 92mm Fan Filter. - Easy to clean, good ventilation effect,easy installation. - Simple and elegant appearance.